In today’s day and age the landscape of recruiting student-athletes has dramatically changed from years past. With the emergence of social media within the last 10 years we are now more connected than ever, whether you realize it or not. 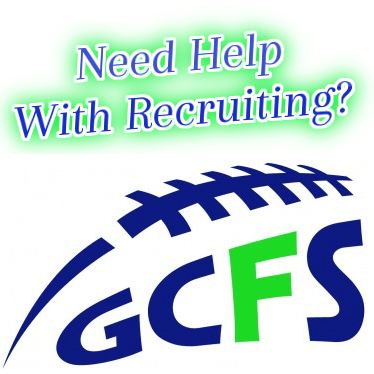 For example, a college coach from Texas that is recruiting an athlete from Massachusetts can now use multiple mediums to find out more information on their potential recruit such as Facebook, Twitter, Google +, Myspace, etc. Now whether the information that is found by that coach is good or bad is solely up to how that student-athlete has portrayed themselves online. Trust me, college coaches have evolved and are now using social media in recruiting, similar to human resource departments at companies. With the increase in competition for coaching jobs and athletic scholarships, it is imperative that coaches do the proper research on recruits that they may offer a scholarship. Remember, everything that you write or post on the internet is archived and can be found at a later date. Which means you do not want to put anything out there about yourself that would portray you in a negative light, thus potentially costing you the scholarship from your dream school that was going to offer you. Never give anyone a reason to doubt you and you can easily control this by thinking before you act on social media and making smart decisions about what you do off the field/court. Just be conscious about your image student-athletes. Student-Athletes are now similar to celebrities based on the fact that anything you do or say is now being monitored. Same goes for your future when it comes to getting a job, potential employers do check social media to find certain things out about you. Have fun during your high school years but try to avoid making stupid mistakes that can negatively effect you.